As the main new product, attracting everyone’s attention, KRION BATH presents the PURE Series, designed by Yonoh Estudio Creativo with a wide range of possibilities and combinations. The collection includes sinks, washbasins, bathtubs, mirrors, units, etc. 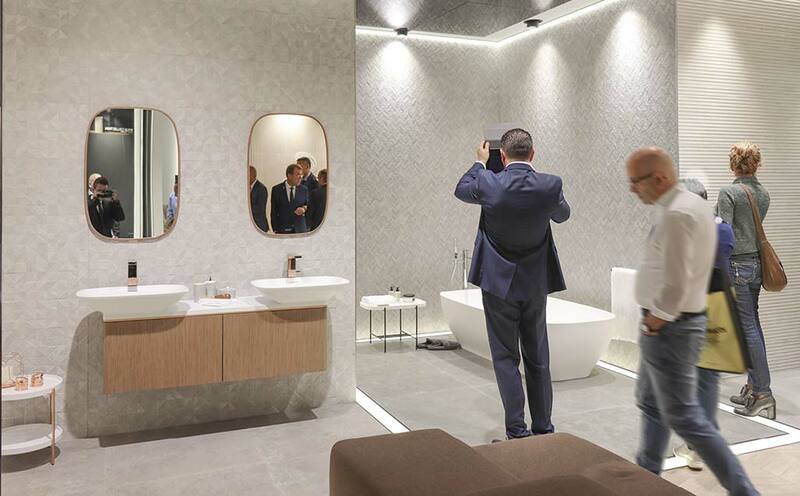 During Cersaie 2016, the TONO concept by Foster+Partners was presented, and in this 2017 edition, it has become one of the most anticipated products of the PORCELANOSA Group, with participation from the companies of the Group, Noken, L´Antic Colonial and Systempool. It is a modular series, with endless compositions, and the possibility of combining wood, stone, ceramic and KRION. LINE, the new extra flat shower tray, which can be made to measure, created with high quality materials which provide excellent mechanical characteristics, covered with KRION.